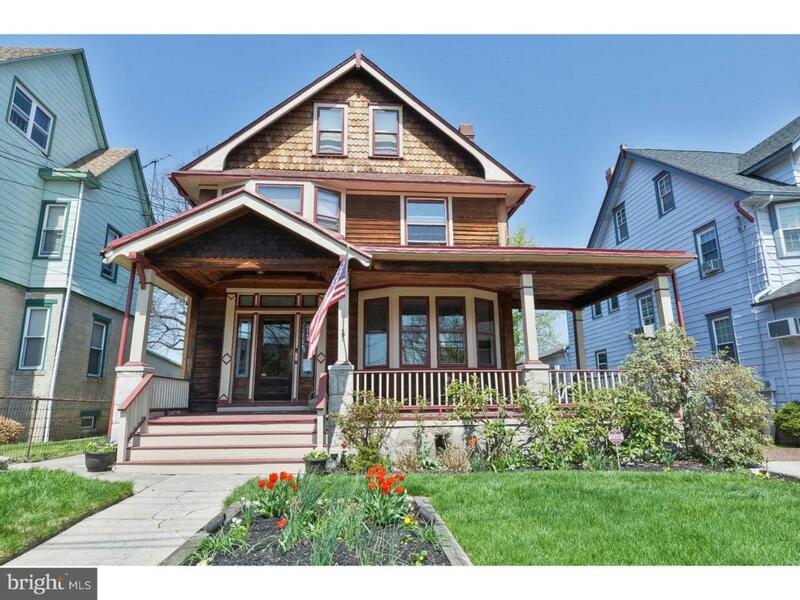 The potential is endless for this beautiful three story Victorian home. This building could easily be converted into a private home or be an owner occupied business combined with a residence with various layout options.The rear of the first floor, part of a two story addition in 1986, can effortlessly be converted into an In-law suite with its own full bath, with walk-in shower, its own kitchen, its own bedroom and a private entrance! The current owners are the third since it was built in 1904 and for the past 40 years have been dedicated to maintaining its wonderful, charming character. Beautiful oak inlaid floors span most of the rooms on the 1st & 2nd flrs. Original chestnut and supplemental oak trim grace all first and second floor rooms. Each level offers a full bath with the original, refurbished, claw tub in the master bath. The rear of this home boasts a deck on each level overlooking a covered outdoor patio and a well maintained yard where every tree has a story. The sizable master bedroom suite on the the third floor is fully trimmed in fresh cedar wood, offers a gas fireplace, private balcony and a large dressing area. Many storage areas exist throughout this home. The driveway and off-street parking provide plenty of convenient vehicle space. Enjoy your visit!